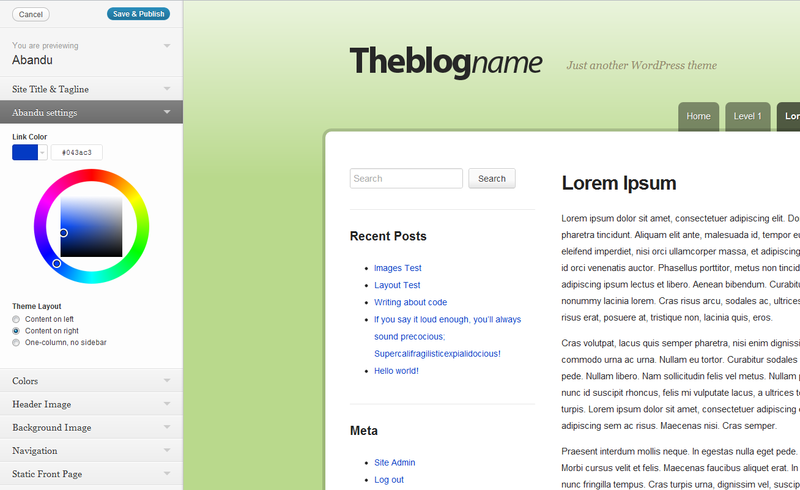 Abandu is nice clean WordPress theme for your blog that allows your reader to focus on your content. Your readers will love that its responsive layout means your content looks attractive, and readable, on devices of all sizes. Sporting crisp typography, three layout options, and post thumbnails means that Abandu might be the perfect theme for your blog! This theme is no longer available for purchase on ThemeForest. The plan is to release it as open source soon. If you have purchased it, I still offer support for it. Of course, Abandu supports the WordPress features you know and love! Upload your own logo and set a background color or image of your choice to put a final personal touch on your blog. You can upload your own custom logo, use a text-only logo or use both! 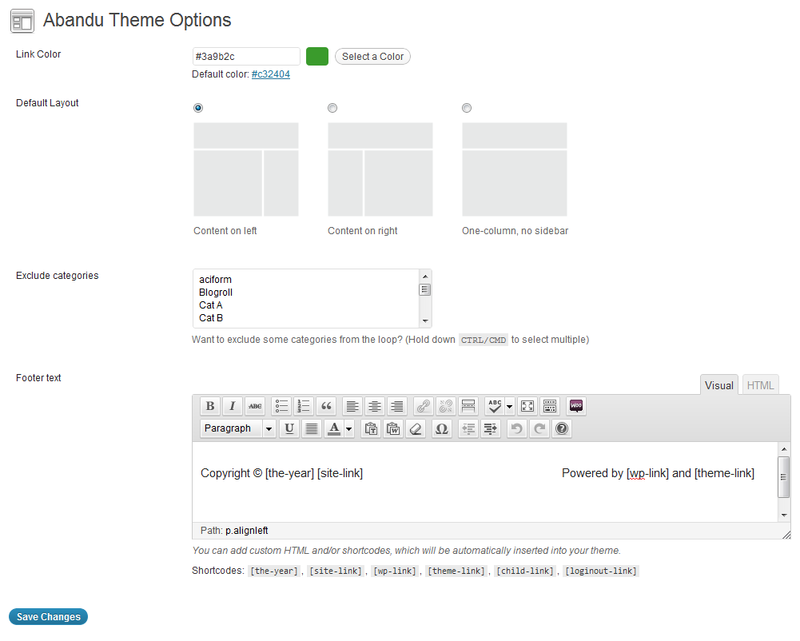 Abandu has a small, but useful Theme Options page which allows you to change the most important things without having to create a child theme. Custom Link Color: You can change your blog’s link color to better suit your style. Abandu comes with support for WordPress post formats so you can create any content you want. Includes the Aside, Gallery, Image, Quote, Link, Status, Chat, Audio and Video post formats. You can see the different formats in action on the demo site. You can choose between to have the sidebar to the left, right or no sidebar! You even have the ability to change the layout on per-post/page basis.